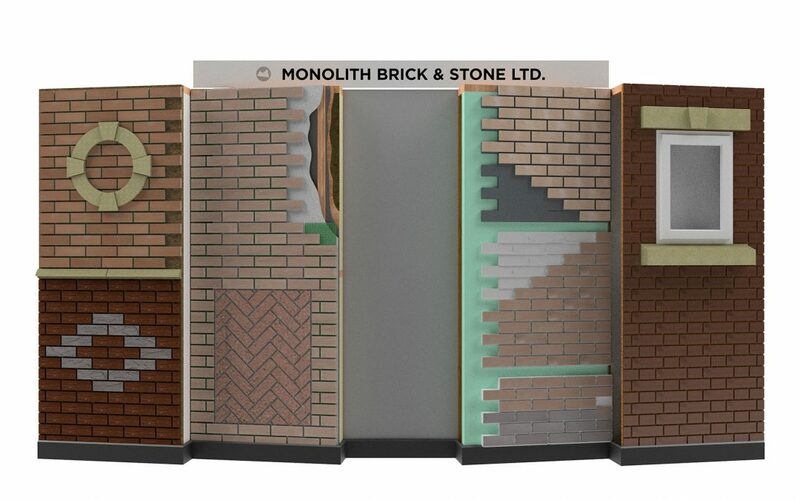 We are pleased to announce that Monolith Brick & Stone will soon be appearing at the National Self Build & Renovation Centre! Based in Swindon, the National Self Build & Renovation Centre (NSBRC) is the UK’s only permanent venue, designed specifically to meet the needs of anyone looking to undertake a self-build, renovation or home improvement project. If you are looking to start one of these projects, then the NSBRC is specifically for you! Our stand is a permanent display area containing a wide variety of our innovative products. We’ve purposely used a number of substrates that self-builders might be interested in, including ICF, Velox and Timber Frame. There will also be our latest Product Range brochure for you to take away. One great feature of the Centre is the barcode system. On our stand, you will find barcodes that relate to specific products. You can scan these in, and your interest will be registered. We will then follow up with you at a convenient time, and supply you with any further information that you require, including physical samples. The space has 3 full size exhibition houses on permanent display, as well as educational areas featuring an array of displays covering everything from ground works and foundations, to building systems and roof types. There’s a full-scale renovation house that takes visitors through the journey of a major renovation project. Visitors can also engage in audio tours around the Renovation House, where you will hear some of the main factors and considerations when taking on a renovation project. With more than 240 stands displaying the latest products and services, you will definitely pick up many ideas that will prove to be invaluable. The aim of the Centre is to inspire, educate and provide impartial advice for visitors as well as offer services and products from a wide range of selected exhibitors to aid you through every step of your project. With everything you’ll need under one roof, why go anywhere else? We hope to see you there.